Sure, you thought food trucks were the hottest trend right now. Don’t worry, they surely haven’t gone out of style. But there’s a new type of truck in town. And it’s turning heads. 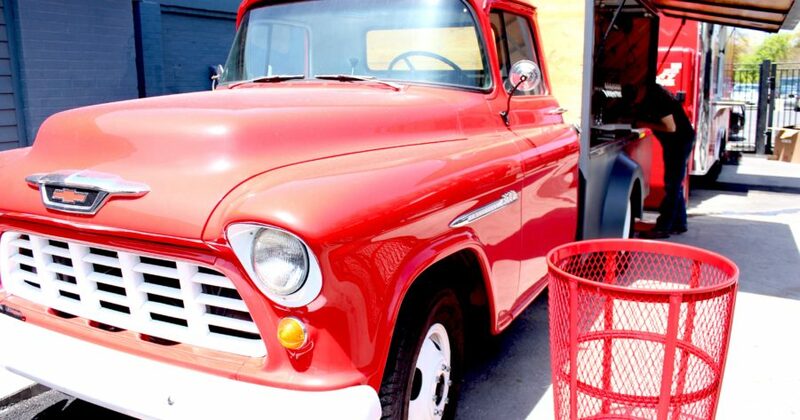 Starting Monday, May 23 at 4 p.m., a restored 1955 Chevrolet truck will be pouring brews out of eight taps at The Shed Beer Garden. 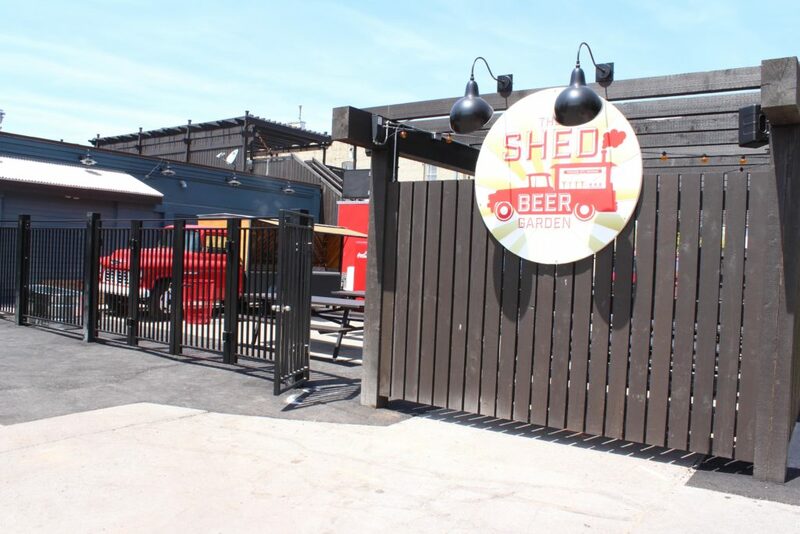 Located out back of Blue Tractor in Traverse City’s Old Towne District, The Shed is now extended into the parking lot, complete with a beer truck AND food truck. “This isn’t your typical food truck destination,” says The Shed Beer Garden manager Neal Crawford. 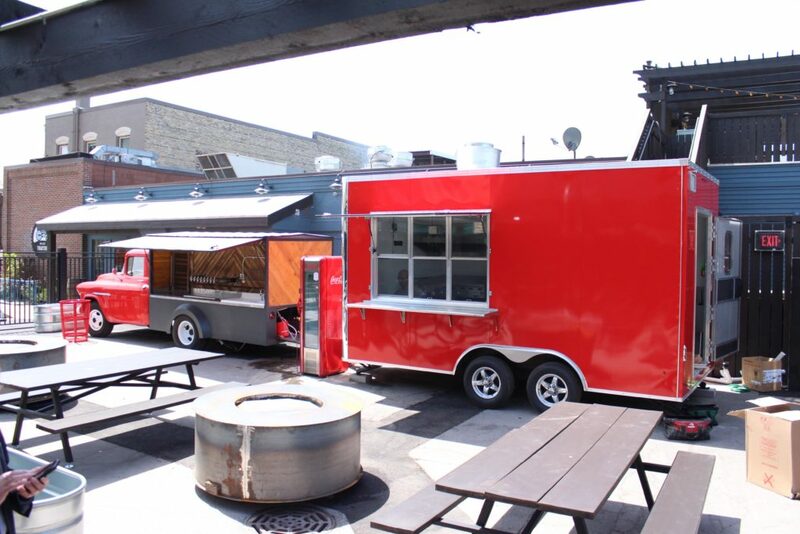 With Blue Tractor’s full kitchen at their disposal, they’re able to have a food truck menu that’s larger than most. Their introductory menu offers ten sliders ranging from buffalo chicken and pork belly to marinated mushroom and crab cakes. And an important side note: They’re only $3 each. This menu will change as the season continues, as will the beers on tap at their beer truck parked right next to it. Featuring Northern Michigan beer like Jolly Pumpkin Artisan Ales, Petoskey Brewing, and Short’s Brewing, it won’t be difficult for customers to find their favorites. Plus, Northern Michigan wines and a wide selection of non-alcoholic beverages in glass bottles will be available, too. “We want families here. It’s not meant to be a bar,” Mission Management executive director of marketing Steve Thrall says about the range of Coca-Cola and Northwoods Soda options. For now, The Shed Beer Garden will only be serving during dinner hours, starting at 4 p.m., but by Saturday, May 28, lunch will be available at 11 a.m. as well. Once the Traverse City rooftop bar The Shed opens back up for the summer season, sounds of live music will be overheard in the new space. The rooftop will serve Blue Tractor’s full menu and have a full bar. As the weather gets warmer, we’ll soon see hops growing along their rooftop trellises. The space will also transition well into fall with gas-powered fire pits dispensing heat. The food truck will sell s’more kits filled with marshmallows, chocolate, graham crackers, and disposable skewers for families to enjoy. 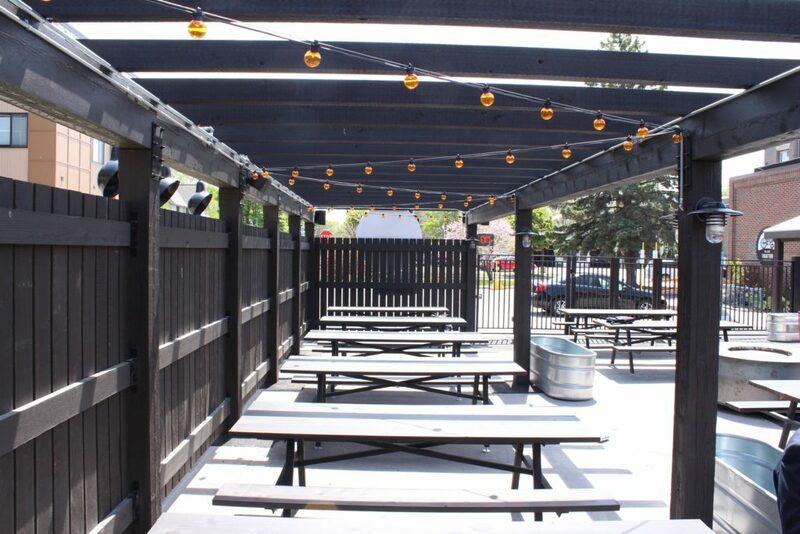 Stop by The Shed Beer Garden at 423 S. Union on sunny days for cold brews and family fun. We can’t wait to hear what you think!